It is always time for Sugar Skulls in Hippie Land. 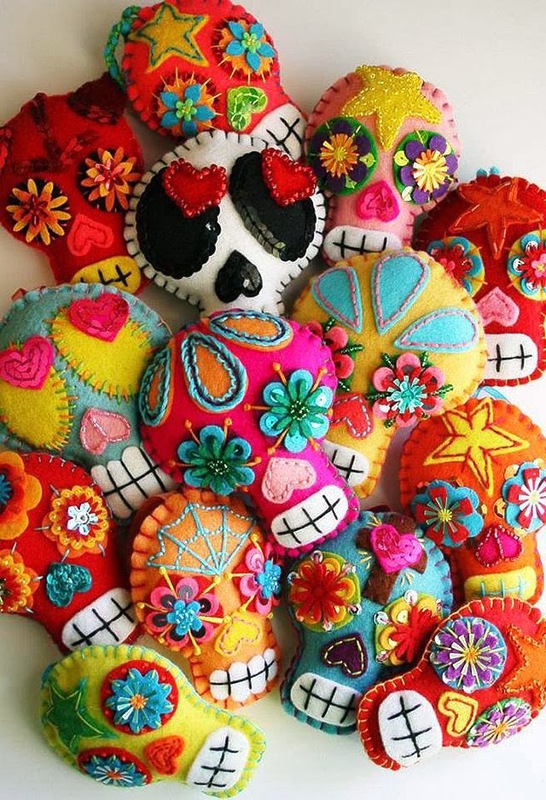 Dia de los Muertos, Calaveras, skullies, whatever you call them... j'adore. This was my first go. I plan on practicing some more, one can never have too many sugar skull adornments. It's a matter of patience. And time. And children. And and and and.... Yeah, I know you know. 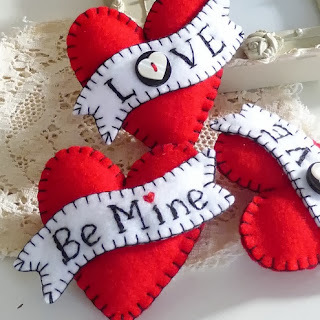 HERE is the tutorial I used for the blanket stitch, in case you need it. How did they cut those tiny flowers out?! I don't have huge man hands or anything, and I seriously struggled cutting my shapes out. I struggled with the size of the skull too. Eh. 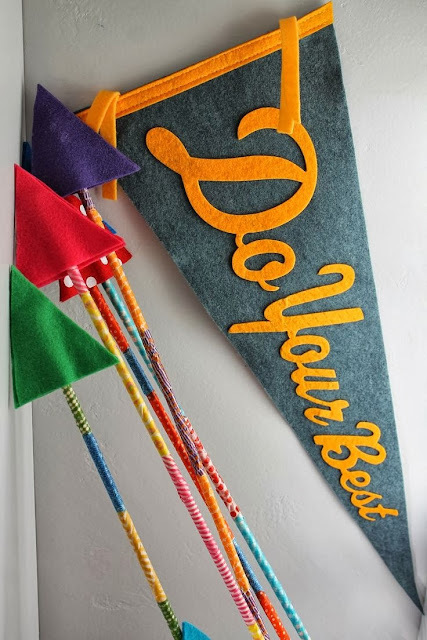 What do you make with your felty bits? I am forever pinning felt goodies to make. Feel free to follow me here. That is really fun with the bright colors. That is one thing nice about felt, you can cut smaller pieces without having it fall apart. I would think you could use a fusible though, if it is really tiny. I bet you could find a scrapbooker or paper crafter with a Big Shot (or other manual die cutter) with little flower dies. Your skull looks fab, your being far too hard on your self. Yours is just as good, better because theirs is too perfect, made in China you know.If someone want perfect tell them to buy from China(Wallmart) and yes a die cut does that perfection stuff. Oooh, this is so cute! 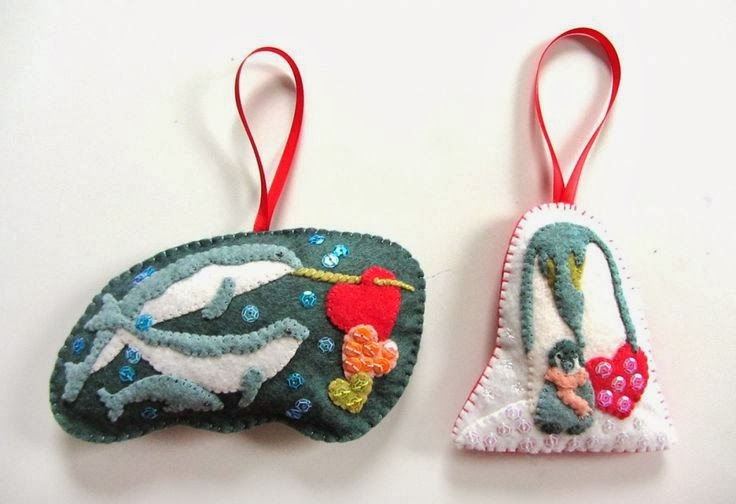 And all the felt inspiration is yummy!